Thank you everyone who joined us for our annual Thankgiving weekend class. It’s so fun to spend the weekend with friends. 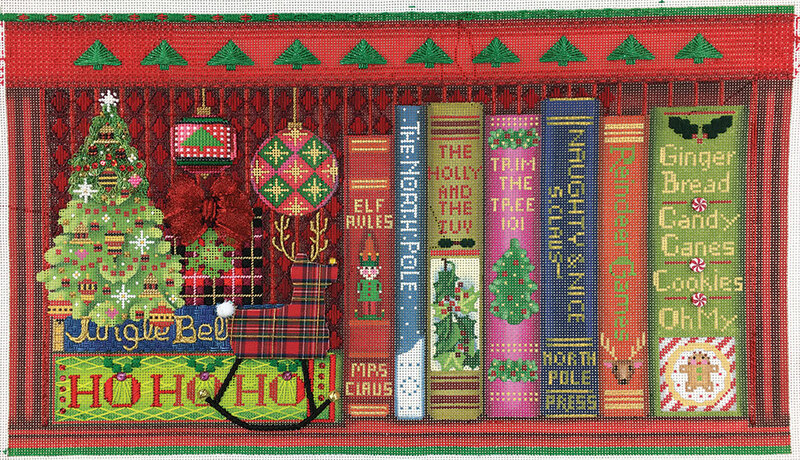 This year we stitched Melissa Shirley’s Santa’s Books canvas. 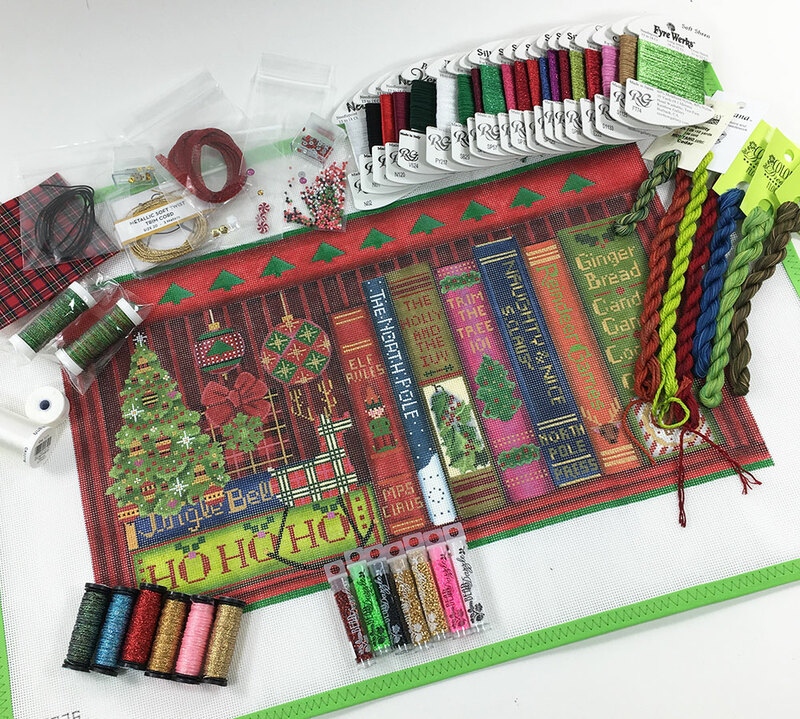 It’s chock full of books, ornaments, a tree, gifts and so many fun details. 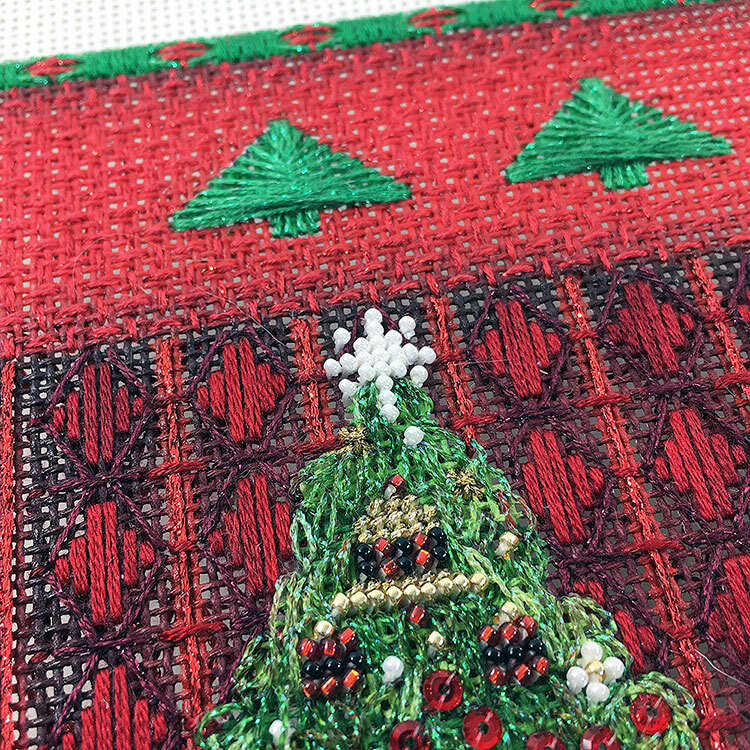 We started with the upper border and stitched counted evergreen trees. 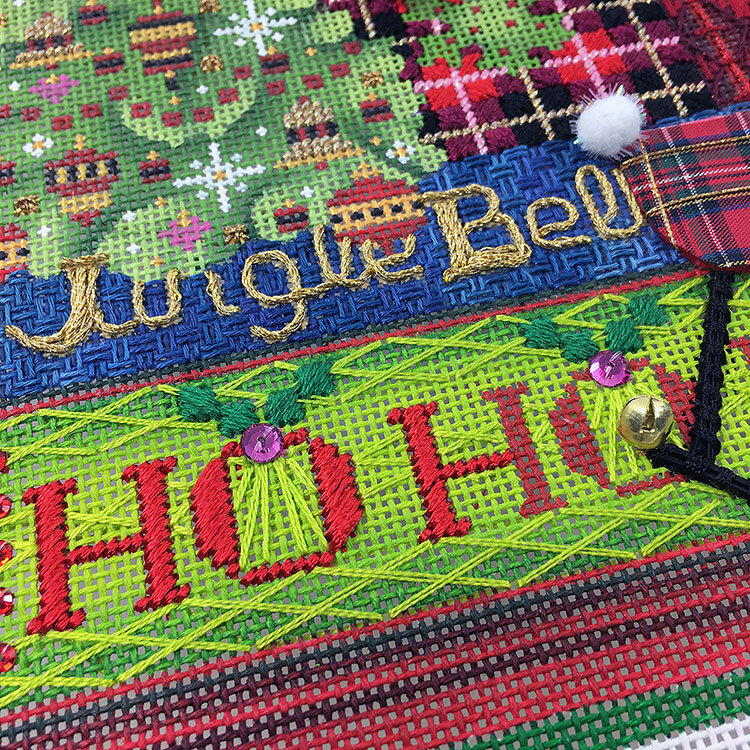 The tree has lots of beads and crystals and will be spectacular when I finish it. 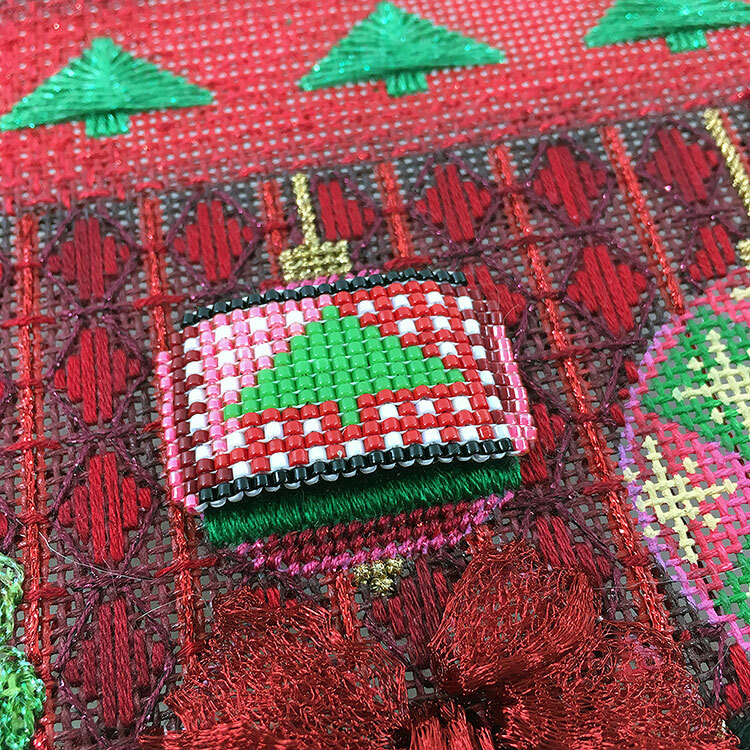 I added more beads to create a dimensional band around the hanging ornament. You know me. I like to do things differently. And the bow! Oh the bow! I’ll post step by step pictures of how to make this big wonderful bow out of 6mm Wirelace tomorrow. It’s truly big impact. You know I love that. The Ho Ho Ho book is a fabulous green. 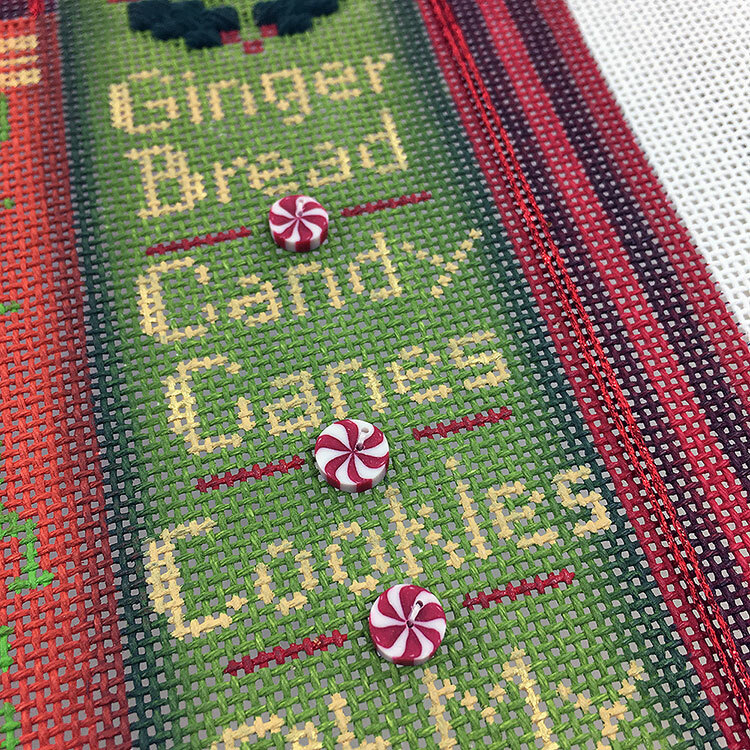 My favorite green so it needed special pattern stitches to make it shine. Look at the magic a few buttons make on a canvas. And then there’s the reindeer. 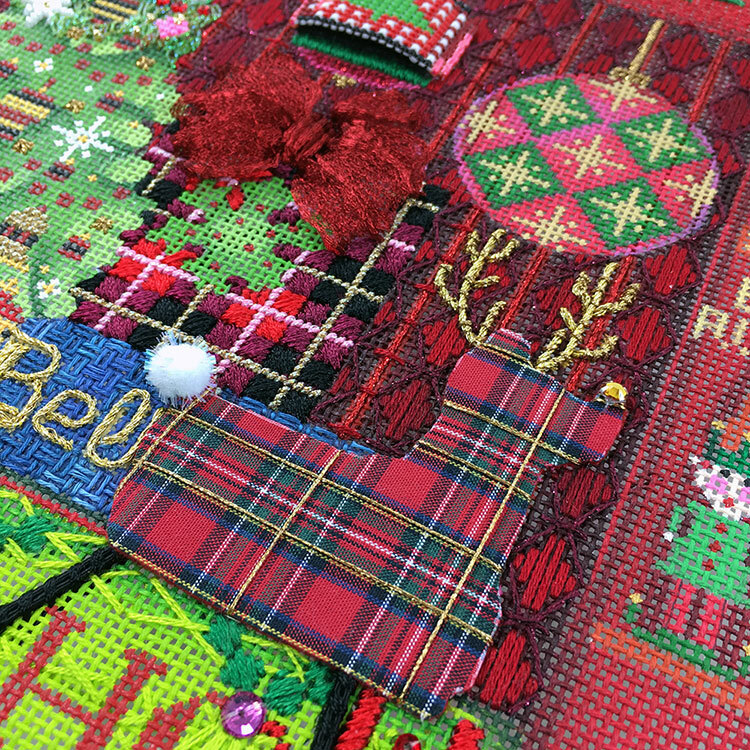 He is appliquéd plaid felt. Talk about magic. 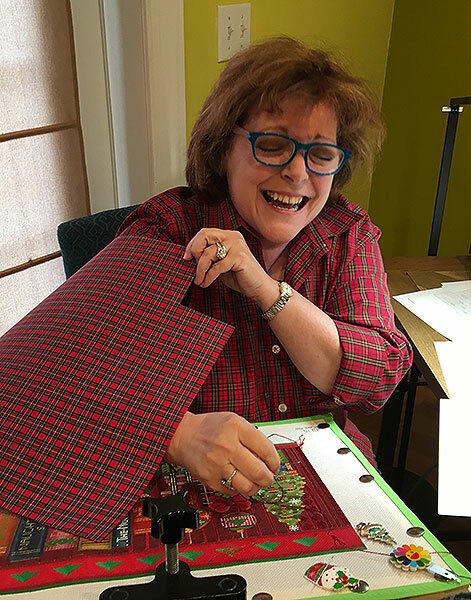 And no, Vicki did not have to sacrifice her blouse for us to make the felt. LOL. Look at all the goodies you get to play with in this kit. 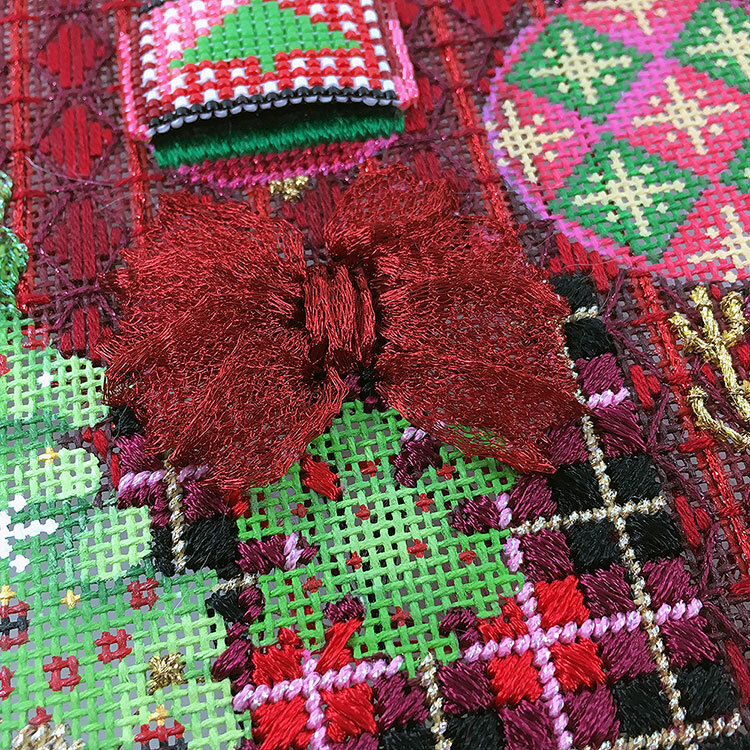 A myriad of threads and embellishments. Oh boy. We have a few canvases on order so if you missed ordering this and would like a kit, here’s the link. You never ever cease to amaze me Ruth! Your creativity is enthralling, and your use of depth texture, and varied materials makes this piece come alive. You just keep getting better and better! This class was so much fun!! Thank you Ruth for the extra help you gave this newbie! It means so much that you and the other ladies in the class were so giving of knowledge and experiences…. and the stories were great too! Can’t wait for the next class! !